Thinking Halloween tonight. Estimating how many trick or treaters will ring our doorbell this year, how much candy to buy, or whether to turn out the lights and pretend we’re not home. That changed the first year MG and Firstborn took three-year-old Little Brother out trick or treating with them. An old white pillow case with eyeholes cut out transformed Little Brother into a mini-ghost, and off they went. As soon as they left, I put my secret plan into action. I was going to have some Halloween fun of my own for once. I scampered back to my bedroom and dressed all in black. 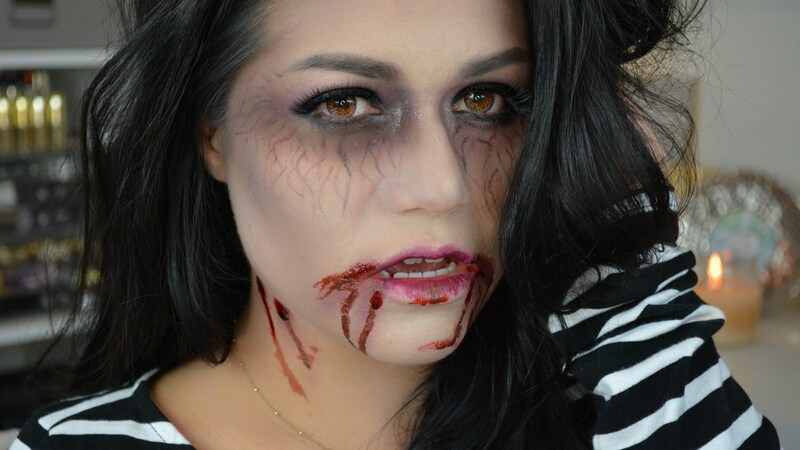 I dusted my face with powder, smeared dark eyeshadow beneath my eyes, and slathered on bright red lipstick that ghoulishly trailed from the edges of my lips down to my chin. The final touch was the fake vampire fangs I popped into my mouth. I found a length of chain in the basement that I could rattle, and lighted a candle to hold under my chin when I went to the door. I looked darned scary if I do say so myself, but I decided to do a milk run to test the effect. 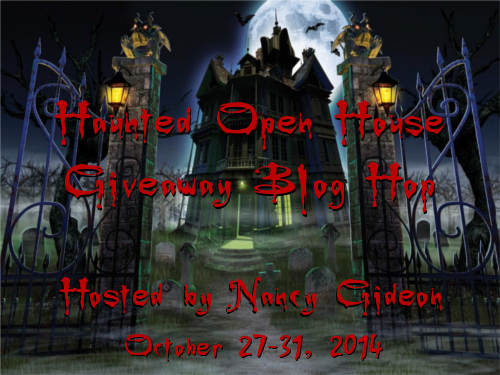 Welcome – From October 27th to October 31st, I’ll be participating in Nancy Gideon’s Haunted Open House Giveaway Blog Hop as part of Nancy’s 4th Annual Haunted Open House! 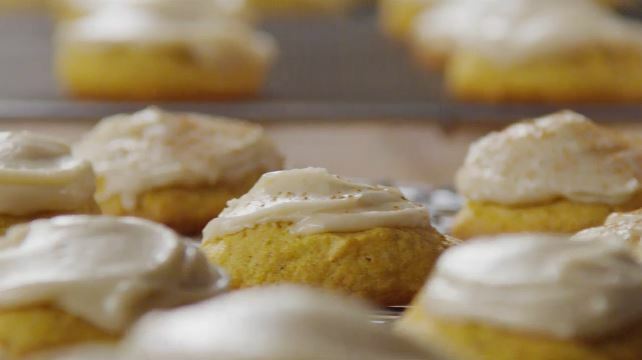 Stop by Nancy’s Haunted Open House to read Halloween posts by some awesome authors, wander into the spooky Game Room or sample some of the spooktacular Halloween drinks, appetizers and desserts. And don’t forget to check out Nancy’s Tricks-or-Treats! Do you believe in ghosts? Apparitions? Visits from the dear departed?